Take a look at this radar map of the snow falling over eastern Kansas this morning. The forecast last night was for 1/2 to 1" of snow across the area (at least the forecast I saw). However, if you are living under the dark blue band from Herrington to Paola, chances are you are going to end up with 2-3" inches, maybe more in a couple of spots. 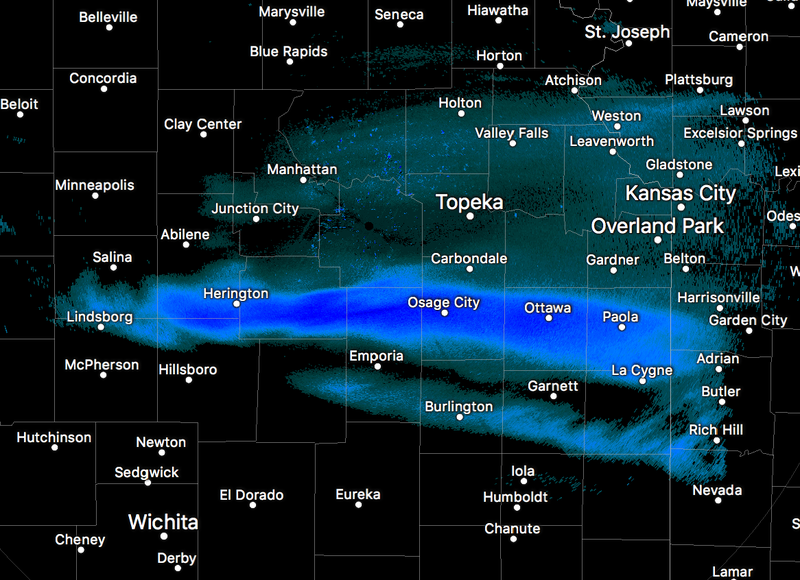 The exact position of these sub-county width snow bands is extremely difficult to predict. And, that is a cause for a lot of snow busts in the Great Plains.